Home > Episode 384: Who Lives and Who Dies in The Force Awakens? 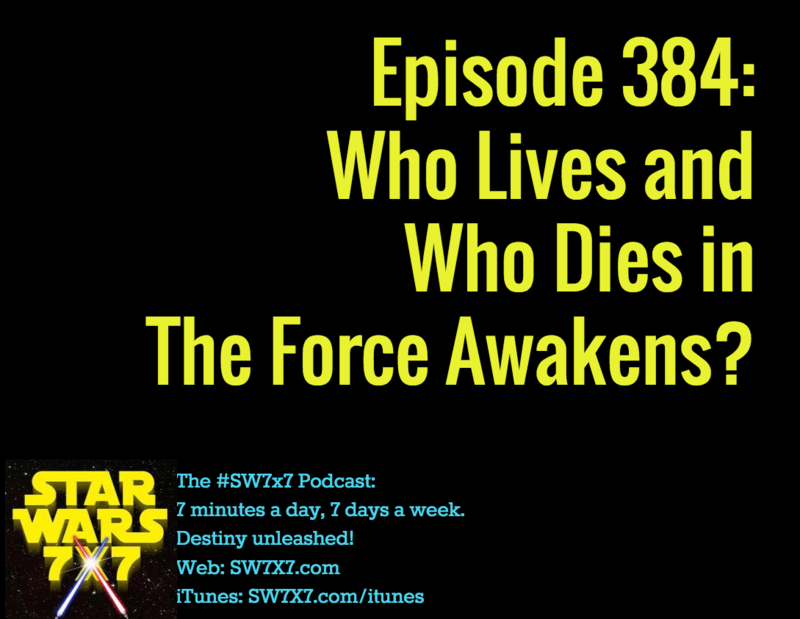 Episode 384: Who Lives and Who Dies in The Force Awakens? Can they really kill a major character, one of the star-studded icons of the movie? The more I think about it, the less I think they can. 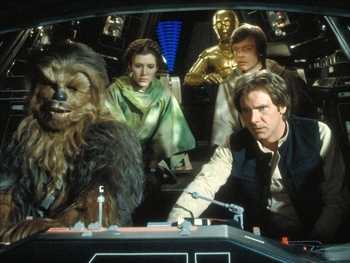 Luke would be good symmetry, Han would be because he wanted out all those years ago. You can’t make a case for Leia or the droids being destroyed, but you could make one for Chewie, who already died in the Expanded Universe. That said, I can’t help but feel that it would create a major backlash to lose one of the characters in the very first movie, and I don’t think Abrams and company want to test the comparatively short leash they’ve been given by fans. Why go to all the trouble of creating the reunion, anyway, right? But enough about me. What do you think? Will one of the original six bite the bullet in The Force Awakens? Share your theories in the comments section! Today’s question: What had C-3PO just jumped inside of in Star Wars (aka A New Hope) when he sighed, “I’m going to regret this”? Next Post: Episode 385: Michael Jackson as Jar Jar Binks? !